The amount spent by the authority on maintaining surfaces has dropped by about £100,000 over the last three years. Now financial officers have warned that continuing to cut the budget could reduce the chance of successfully defending pothole claims. Last night, it was feared that the condition of the roads could go “off the edge of a cliff” if money is not made available in future years. However, council leader Graham Leadbitter insisted that Moray’s roads currently rank amongst the best in Scotland, meaning less money could be spent on them. He added: “Our roads are ranked in the top quarter for the country compared to all the other councils so it’s an area where we can perhaps allow them to deteriorate a bit in order to protect other services. Audit Scotland currently ranks Moray Council’s routes as being in the fifth best condition in the country – behind only Orkney, Aberdeenshire, West Lothian and Aberdeen. During 2015/16 the authority spent £707,000 on patching and temporary repairs to roads. However, that total had dropped to £604,000 for 2017/18. Despite the decrease the council has only had to pay out for two pothole claims, costing a total of £137.50, over the last four years. Yesterday, Forres councillor George Alexander – leader of the Councillors Open Group – described the authority’s record defending claims as “excellent”. However, the independent member, who has backed previous budgets to reduce road maintenance, confessed to being “nervous” about the long-term effect. He said: “We’ve had this make-do-and-mend policy in place for three years. If we reduce spending on them they will continue to gradually get worse – you can’t get away from that. “At some point they’re going to stop getting gradually worse and it will accelerate exponentially, go off the edge of a cliff and cost a lot more to bring them back. 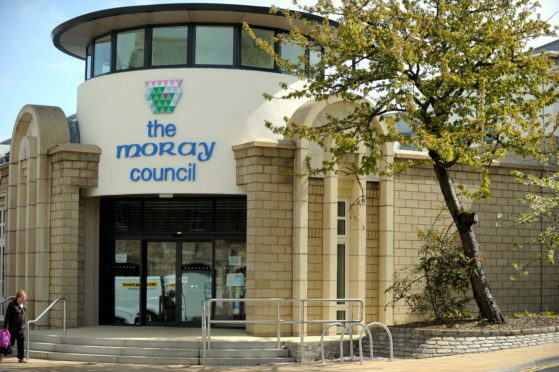 Moray Council currently faces having to save about £12million next year in order to balance its budget. In a report to councillors, the authority’s head of financial services, Lorraine Paisey, said: “Future risks regarding insurance claims arise from the reduction in roads maintenance budgets.